Please use our point to point service. 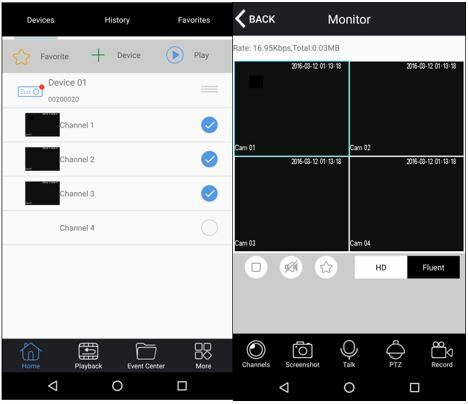 To get the P2P service working on the DVR go to Main Menu- Configuration- Network- make sure DHCP is checked (if not please check then click app. to apply). Then go to P2P under network and make sure that state says online (For model LV-KDT0808B7W go to Advanced-P2P service). If it says the DVR is offline please check the Ethernet cable. Once P2P is confirmed online we will move to the LaView Mobile app that you can download from the Play Store or App Store. 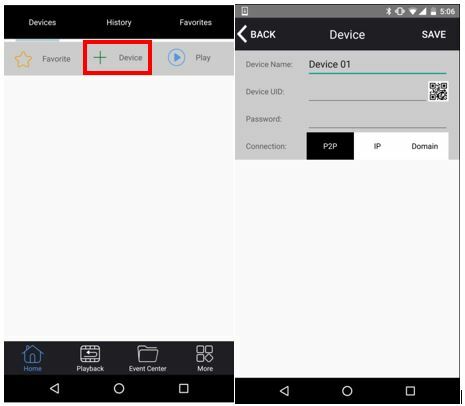 In LaView Mobile we will add a device with the “+ Device” then enter the Device ID and password shown in the P2P area. Make sure to save on the top right. Once you have your new device click on it then select 4 cameras and click the Play button. Live View should now start. Please download the LaView Mobile app. Use the links below. For the Ipad use the HD version, this is for tablet use. Note: The setup was done with an Android phone. The iPhone setup process is almost identical. 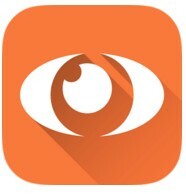 Please open the LaView Mobile app. 2. Click on the “+ Device” option. 3. 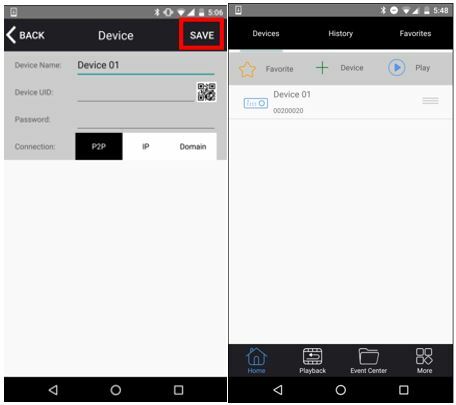 Go to DVR, Main Menu>Configuration>Network>P2P then scan QR code or manually enter Device ID and password. 4. Press the “Save” button to be taken to the device list. 5. Select Device and select cameras. Press “Play” for Android or “Live” for iPhone to start live view.